Looking for a fun activity that will pull your kids away from the computer and video games for a few hours? With Papierowe Miasto’s Paper Town, designed by Robert Czajka, you and your little ones can create entire villages out of recycled cardboard. All of the pieces come in a flat pack, and all you have to do is fold along perforated lines (no glue is needed). Each set includes a variety of buildings and vehicles printed with colors, patterns and details as small as placing a driver behind the wheel of a bus. Looking for a fun activity that will pull your kids away from the computer and video games for a few hours? With Papierowe Miasto's Paper Town, designed by Robert Czajka, you and your little ones can create entire villages out of recycled cardboard. All of the pieces come in a flat pack, and all you have to do is fold along perforated lines (no glue is needed). 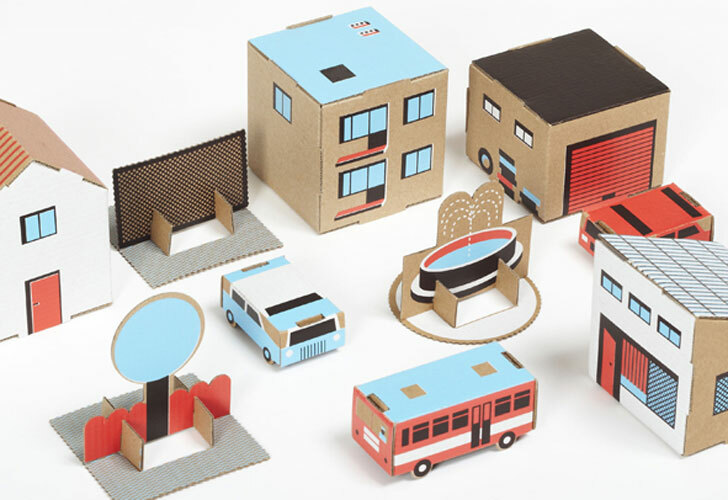 Each set includes a variety of buildings and vehicles printed with colors, patterns and details as small as placing a driver behind the wheel of a bus.